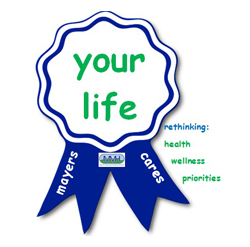 Here at Mayers Memorial Hospital District we value your health, well being and happiness. Our dedicated staff is here to provide quality, compassionate healthcare. We are "friends and family caring for friends and family." Essential hospital and emergency room care, as well as many outpatient services are available right here in the Intermountain region. We are excited to provide you with this new online resource. Here you will find information on departments, services, staff, employment and more. You will also have access to news archives, upcoming events and special stories about the faces and people of MMHD. The FastHealth service is your link to online medical references, articles and the FastNurse coordinator. In addition, you can access your patient records via the Patient Portal, pay your bill, send inquiries, submit employment applications, view a community calendar, area resources and have access to the MMHD blog and other social media. MMHD is located near the junction of the Cascade and Sierra mountain ranges in the northeastern California. Mayers has been providing high quality healthcare since 1956. With facilities in the rural communities of both Fall River Mills and Burney, we are here to provide quality care for all the residents and visitors of our service area.